A contemporary oak and steel table made by hand in Great Britain. The Atlas Table is designed to reflect the beauty of pure function, as found in architecture and structural design. 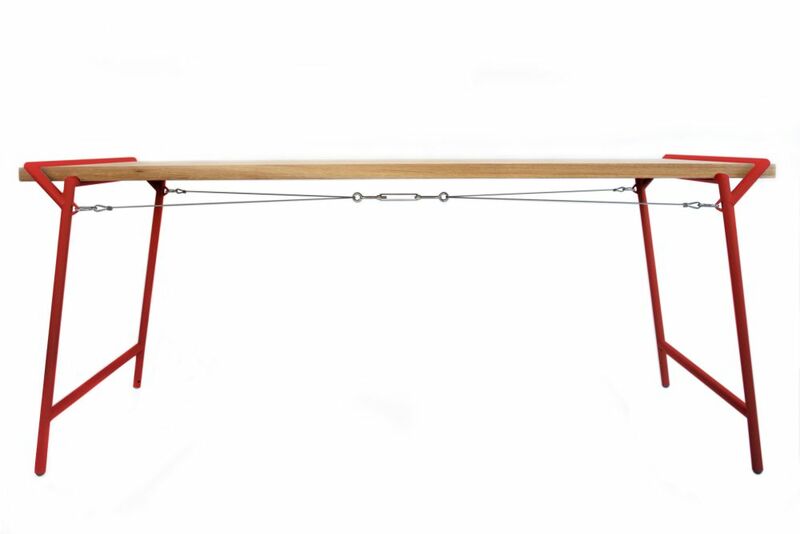 Strength is provided by the high quality tension system attached to the custom made steel framework of the legs with each component ‘popping’ effortlessly into place allowing the table to be quickly assembled or taken apart in a matter of minutes. The large oak surface area provides enough space for use as a dining table or studio desk. made from: Tabletop manufactured from FSC Cerified Oak and finished Tung oil, a natural and foodsafe finish. Framework made in Sheffield from steel with a durable powder coat finish.